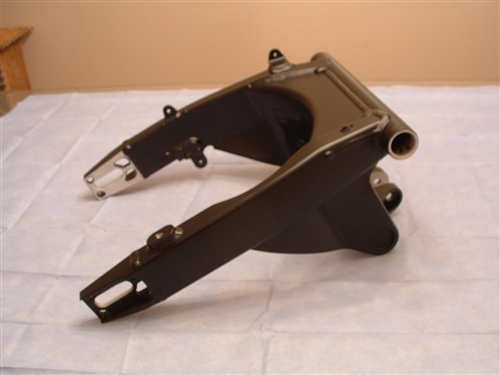 The customer receives an exceptionally strong, hand fabricated 280mm swingarm with a perfect powder coated finish. Labor for bearing removal and installation is included at no extra charge. The arm is shipped to you ready for immediate install! 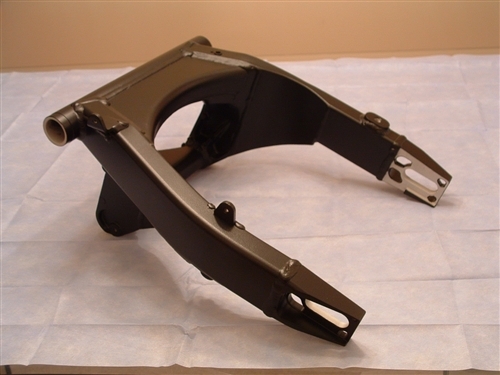 With our proprietary cut for this size, the outside of the swingarm remains UNCHANGED. This is essential for the custom builder that allows for unlimited exhaust choices for their project since the outside of the arm remains in stock form. Performance EDGE is the ONLY dealer in the world that can provide a 280mm swingarm modification to you with this level of fabrication.